White woodwork can be crisp and classic in some spaces, but it can also be boring, especially when it comes to contractor basic bookshelves, fireplaces, and other built-in features. Transform them into powerful design elements by introducing a beautiful color, adding character with decorative paint finishes, or adding the luxurious look of wood with a faux woodgrain finish. 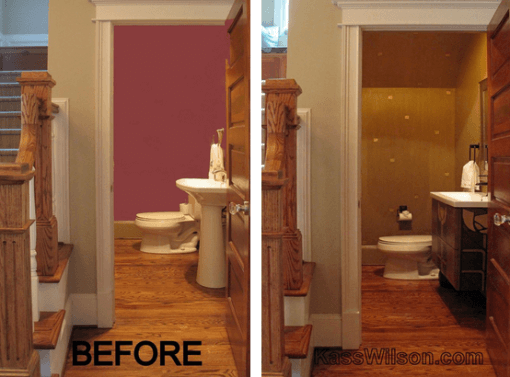 From a design perspective, foyers are often the most neglected place in the house! That’s too bad, because the foyer is the introduction to your home, a chance to set the tone and make a powerful first impression on your guests. Fortunately this is also an easy fix. Add some life to your foyer with striking accessories, a bold color, or a unique finish. Decorative painting can work wonders by highlighting architectural features or introducing visual excitement through pattern or texture. Don’t be afraid to make creative and personal design choices. Interior design without personality can seem generic or clichéd, and there’s no cause for that when it’s so easy to add some life to interior design! Walls, floors, ceilings, cabinetry- they’re all just canvases that can communicate individual style. Don’t be afraid to embrace large-scale pattern, metallic finishes, or bold textures. 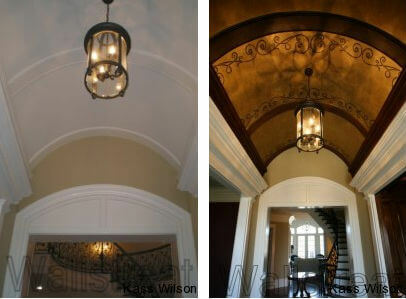 At WallsTreat Studios, Atlanta faux finish artist Kass Wilson brings spaces to life with innovative decorative painting. 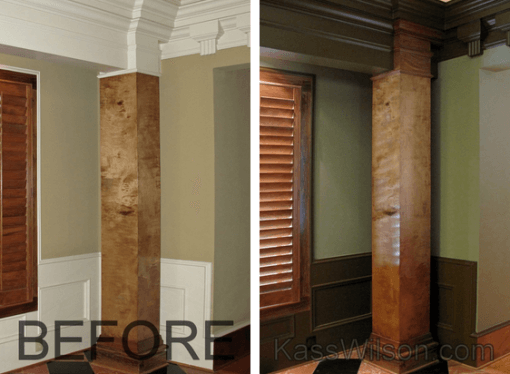 To see more examples of how faux finishes can add beauty and excitement to interior design, visit our Faux Finish Projects.